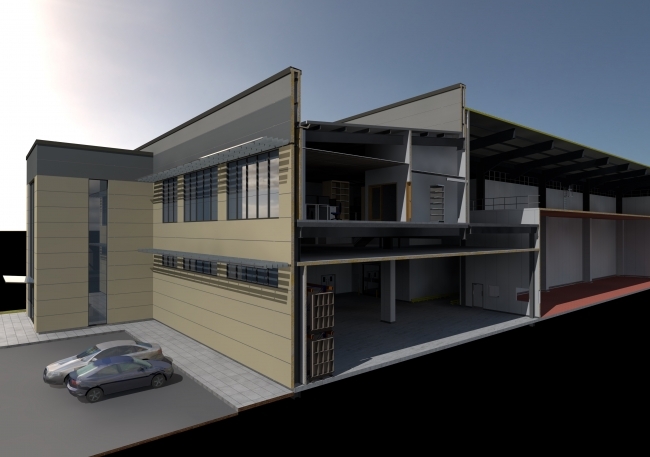 Cheese manufacturer, Dairy Partners, has received full approval to start construction of a new factory and head office at its site in Stonehouse, Gloucestershire. The company applied for planning permission earlier this year when the current factory hit full capacity. This vote of confidence on the planning permission will now allow for three new production lines to be installed in a 7,000 square metre facility; doubling the size of the factory and creating 55 jobs in the process. Describing the approval as big step forward, Will Bennett, Co-Director, at Dairy Partners explained: “This factory expansion is part of a £25 million investment on our part to double the output of mozzarella and pizza cheese that we manufacture across our factories in Gloucestershire and Newcastle Emlyn. Robert Peel, Co-Director at Dairy Partners added: “In these plans we are not only looking to recruit more staff, but we are securing jobs for those who already work for us and investing in the environment we offer them. Work on the factory is due to commence by early 2019 and the recruitment process for the new roles is already underway.